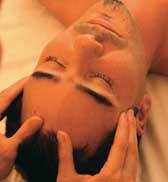 Many men are turning to massage to manage stress and to enhance their overall health and well being. Massage has become increasingly popular with men over the last two decades in both spas and clinics. The number of men booking monthly, bi-weekly and weekly massage sessions is at an all time high and growing steadily. Generally speaking, men are seeking the same results from their massages as women. Men are especially interested in the pain relief properties and enhanced athletic performance that therapeutic massage can create. For men over 30 in particular, the health benefits of massage are a draw, as well as the stress relief and anti-aging benefits of massage. Urban Sanctuary is a man-friendly spa. We had men in mind when we designed our space and our service offerings. Spas are not just for women anymore. Times have changed. Everyone benefits from a good self care and stress prevention regime.